A: Easy. Hit a home run to tie the game in the 9th inning with 2 outs and 2 strikes on the board. Then, go on to win the game in the 10th inning by a walk-off run, with bases loaded. The silence was deafening when this happened and it was glorious. I experienced a lot of firsts today! First major league baseball game other than my home team, first time seeing National League teams play, first time experiencing a rain delay, and the first time experiencing a Philadelphia team in person. 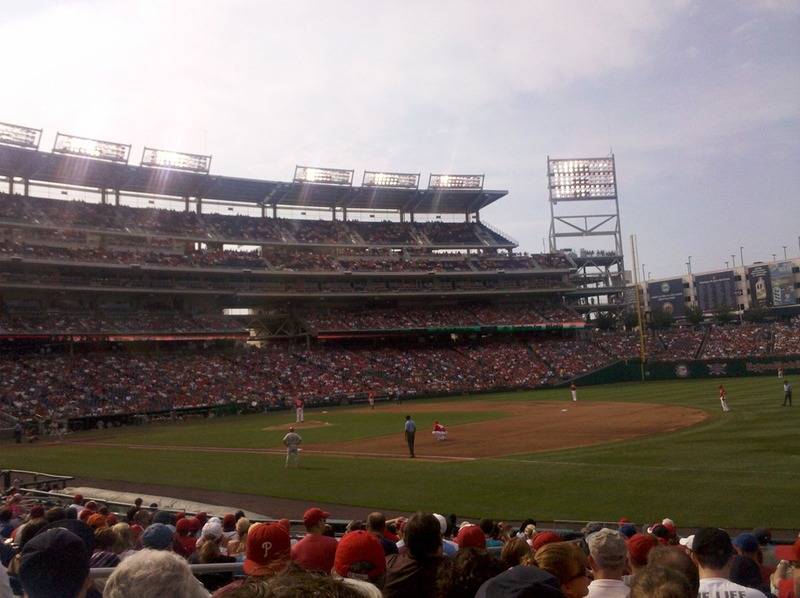 Nationals Park attendees were 90% Phillies fans and 10% Nationals fans today. How this is possible, I have no idea. 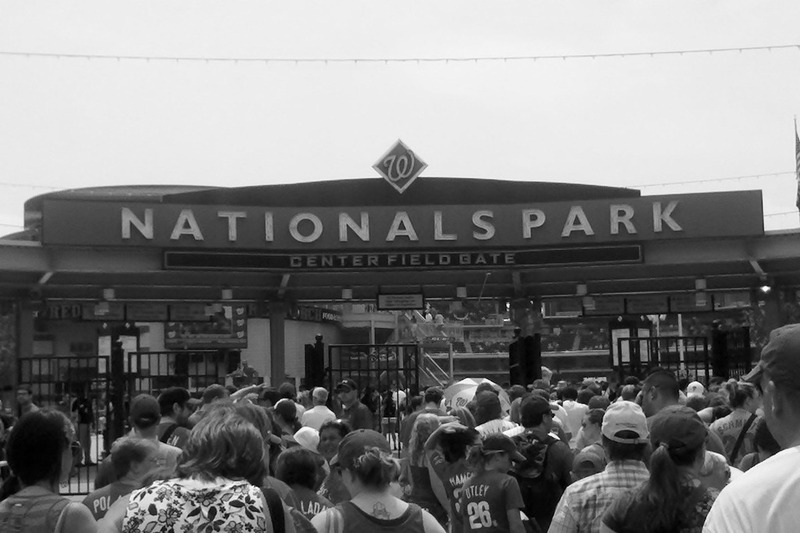 I guess a lot of fans drive down from Pennsylvania for weekend games, and DC surely has a strong Philadelphia community, but I was still pretty shocked by how few Nationals fans attended. Even though the team isn’t the best this year, the stadium is beautiful and has fantastic burgers at a concession stand called Shake Shack. Those two facts alone should bring more people out, in my opinion. 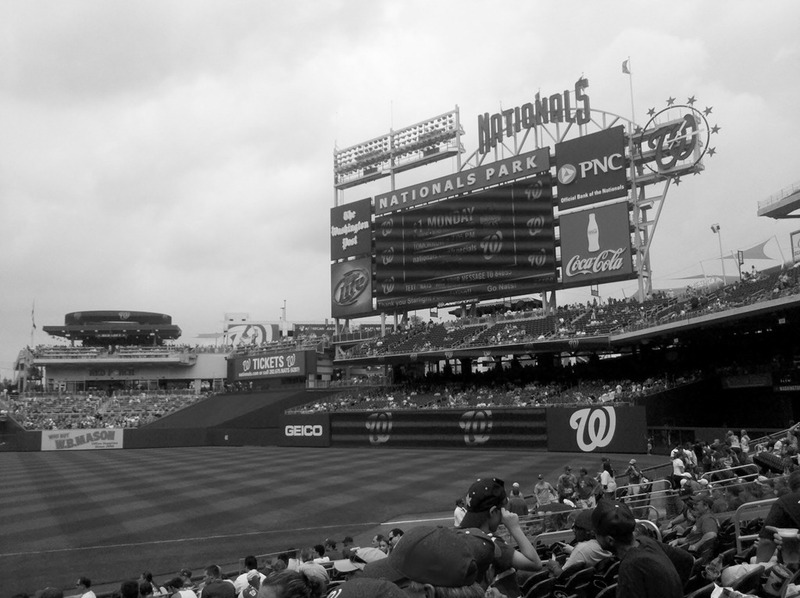 More times than necessary, a roaring chant of “Let’s Go, Phillies!” erupted in the stadium which led me to pinch myself and make sure that I was still in the nation’s capital. I think the City of Absurdly Fanatical Love is a more apt nickname for Philadelphia. It’s fun to have a new home team to root for. I’ve got the Rays, Durham Bulls (for minor league), and now the Nats on my list to cheer on. – They don’t have rude fans. 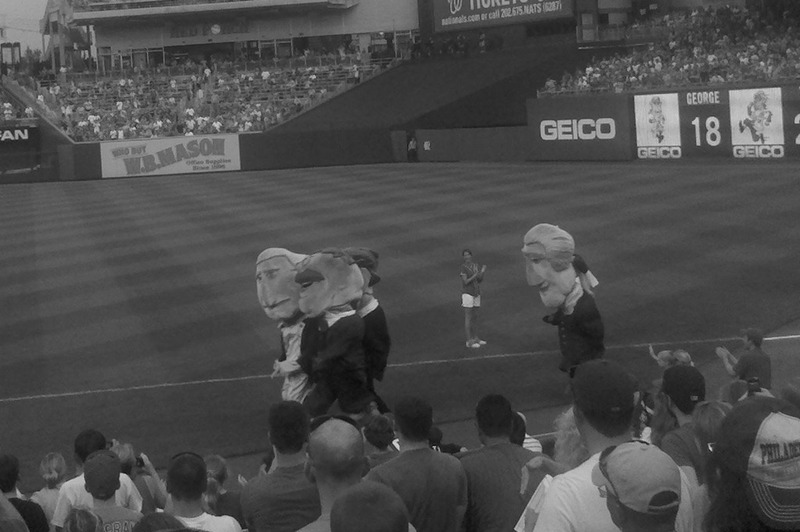 – There is a President’s Race during the game when past presidents are resurrected with humongous heads and race around the bases (see above picture). It’s hysterical. – An awesome saxophonist played the national anthem and “God Bless America” today — such a great musician and more unique than a singer! – There are some darn good ball players on the team: Morse, Zimmerman, Desmond, and Espinosa were my favorites. – They won! Maybe I was a good luck charm? Q: What’s sweeter in life than beating the Phillies?